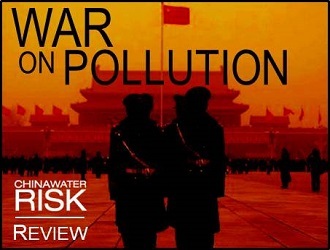 With 80.9% of the people ‘deeply concerned’ about overall environmental conditions, it is no wonder that war is declared on pollution by Premier Li Keqiang last week at the National People’s Congress meetings in Beijing. It’s not just concerns over the highly visible “orange” smog that has been lingering, 86.8% of those surveyed in the first-ever National Ecological Civilization Awareness Survey conducted by the MEP in February 2014 were also ‘highly concerned’ over drinking water and food safety. The situation is bad. There is no doubt that China’s water sources, be it groundwater or from rivers need urgent protection from all excessive & untreated discharge. A Ministry of Land & Resources (MLR) survey said that over 70% of shallow & deep groundwater is severely polluted in the North China Plain where a significant portion of China’s farmlands lie. Also of the 655 cities in China, more than 400 rely on groundwater. As a result, the government has prioritised groundwater protection (more on this in “Groundwater Crackdown”). Groundwater pollution in agricultural croplands has also brought about other concerns such as soil contamination and food safety. There are worries about cadmium and chromium rice as a result of soil pollution from excessive levels of heavy metals discharged into wastewater. 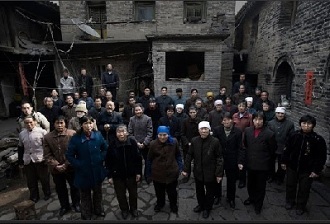 The image on the right by award-winning photographer Lu Guang, looks like a classic portrait of a village but in reality, every single person in this photograph has cancer. In fact there were more than 50 people in this village in Hebei who had cancer (more on location of cancer villages here). Lu’s poignant depiction of the growth of industry and its impact on the people and environment of remote area in “China’s Requiem for Mountain & Waters” drew attention to the plight of rural areas. In 2013, ‘cancer villages’ were officially documented and this year, we see the government beefing up the ‘MEP war machine’ to deal with this (see Sharpen the Sword below). Although industry is largely to blame for excessive heavy metal pollution, non-point source pollution from agriculture is the still largest contributor to water pollution. Both agricultural pollution from excessive fertiliser application and soil remediation will have to be addressed if the war on pollution is to be a success (see Tactical Positioning below). Not surprising then, that Premier Li identified the following main “battlefields” in his work report: drinking water source protection, key watershed pollution control & recovery, soil pollution & recovery and treatment of nonpoint-source pollution. The government at the highest levels is acknowledging this publically. This is an important step in the war against pollution. In reality, the planning for “Pollution Wars” has already started with multiple stratagems in place (see Main Stratagems & Offensives below), but with the current ineffective system of monitoring & punishing pollution violators can any of these campaigns waged be successful? Sharpening your sword would be a sensible thing to do before going to war. Other key ingredients in waging a successful war are: a big war chest, strong war machine, highly trained troops and correctly incentivized generals. Already, a total of RMB3.7 trillion (USD607 billion) has been set aside to tackle air and water pollution this year; RMB2 trillion (USD330 billion) of this will be dedicated to water pollution. A war chest equivalent to almost the size of Hong Kong’s GDP (2012 = USD375 billion) seems like a good start. There is also much talk in the capital about strengthening the currently toothless ‘war machine’ that is the MEP. Passing the proposed changes in the Environmental Law to allow the MEP to levy unlimited and daily penalties on pollution violators would definitely strengthen its arsenal. Also, in cases where public interests are affected, violations will be deemed criminal under the new law and polluters will be prosecuted as such. “We will revise the Environmental Protection Law and the Air Pollution Prevention and Control Law to improve environmental protection and management so that emissions of all pollutants are strictly supervised”.“[We will] enforce the strictest systems for protecting the environment by controlling pollution at the source, holding polluters accountable and ensuring that they compensate for the damage they cause”. Other fundamental changes towards an effective ‘war machine’ involve the consolidation of currently dispersed and overlapping authority & responsibilities of monitoring and setting punishments across various ministries. This would result in the formation of a “Super MEP” which could effectively fight the war on pollution – both air and water would benefit. See our views on the whys and how of this potential ‘merger’ here in “MEP Reform: Mountaintop to Ocean?”. RMB211 million has been set aside last year from the Central Environmental Special Fund to not only train and educate MEP employees to better monitor discharge, but to design more effective standards which will be streamlined from 600 to 300. Also, last month, the Ministry of Water Resources, NDRC, the Ministry of Finance and other 7 departments jointly issued the “Work Plan on Implementing Assessment of the Most Stringent Water Management System”, to include water as an important indicator in the performance evaluation review of provincial cadres & leaders. Officials with outstanding performance will be given priority in future relevant projects, while those who failed the assessment will need to submit a written report explaining their actions with proposed corrective measures within one month. The alignment of environmental performance with that of the performance review of public officials is also reinforced by a proposed tightening of Article 22 of the Environmental Law which will make the completion of the assessment by State Council and local governments mandatory and available to public. It appears that central government is well aware of current systemic issues that could weaken the ‘war efforts’ and are tactically positioning to put in place fundamental reforms to strengthen such weaknesses; after all as Sun Tzu says … “If you know yourself and your enemy, out of a hundred wars, you will win a hundred times”. The main thrust of the ‘war effort’ is to protect China’s water sources through a series of “Pollution Prevention & Control Action Plans”. As groundwater woes are more severe, groundwater protection will be prioritized over surface water. In fact in late 2011, the MEP had already come up with a “National Groundwater Pollution Prevention Plan 2011-2020”. Groundwater monitoring systems are to be set up before 2015 and monitoring will start in earnest after 2015. Hopefully by then, the new environmental law that will make discharging pollutants into ground illegal and criminally punishable will be in place. The “Water Pollution Prevention & Control Action Plan” also known as the “Clean Water Action Plan” referred to by Li Keqiang is expected to be issued by 1H2014. 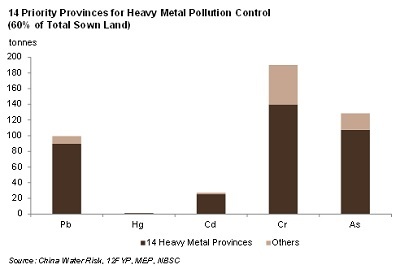 As for heavy metals, central government has identified 14 key provinces where efforts will be focused. As can be seen from the graph on the right, these 14 provinces account for a lion share of each of the 5 heavy metals in the 12FYP targeted for pollution reduction. Also, since various industries are responsible for these pollutants, the MEP is tightening up and/or issuing new standards across the “most polluting” industries so that these targets can be reached (see Tactical Positioning below). 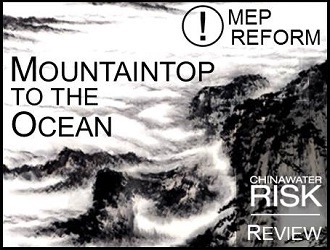 These plans which straddle multiple industries and various ministries will require better cooperation between ministries for smooth execution, again highlighting the urgency of MEP reform (please see “MEP Reform: Mountaintop to Ocean?” for more). Finally, the more difficult to resolve nonpoint-source pollution from agricultural wastewater discharge. For more views on whether municipal water can meet rising demand in water given rising urbanization, check out Shanghai’s Green Initiatives’ opinion on “Can Cities Meeting Rising Demand”. 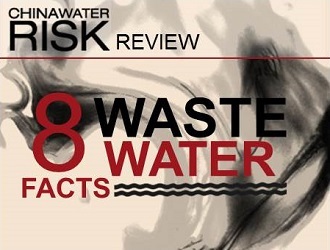 Pricing – Water Resources Fee price increase is signaled by the NDRC which should encourage efficient water use but there is yet a firm indication of reform in industrial wastewater treatment standards or pricing. However, due to the small average plot size of farmland in China of 2.3mu (0.16 hectare) in 2012, the implementation of the above may prove to be practically difficult. As such, the government is also moving to up-scale both animal and crop farming … watch out for a full review on water in agriculture next month. 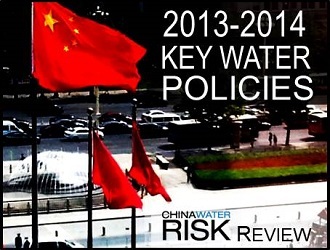 For a full list of key water related policies from 2011- February 2013, click here and for March 2013 to 2014, click here. In every war, opportunity arises to profit from war. If the sword is indeed sharpened, a Super MEP will be able to wield a large stick to drive the intended US$750 billion Strategic Emerging Industry of Environmental Protection & Energy Savings. Ensuring the success of this industry (basically the flipside of fighting pollution) is also key to the government (see our Trend #1 in “5 Trends for 2014”). If we buy into the success of this new industry then the fundamental changes required for a successful war discussed in Sharpen the Sword should be imminent. The war on pollution is definitely here to stay. Central government “surround all” attack is designed to at least hold the pollution ‘Red Line’, and at best advance the line and create a new industry to shore up the economy at the same time; shifting us into an “Economy & Environment” era. It’s important to step out of trees to see the woods at this point – pollution, is only one of the “Three Red Lines” of water conservancy identified by the government in 2011. The two other “enemies” identified are “water use” and “water efficiency”. These two wars are less visible but equally important and separate war efforts are going on in each of these areas. These simultaneous advances to protect water resources and increase efficiency especially in the water scarce Dry 11 and China’s top farming provinces have implications for certain industries in China and global implications on trade (more on water & agriculture next month). Industries and companies should be well aware of these efforts and keep in mind the bigger picture of China’s efforts to protect her scarce resource. Investing RMB1 trillion may help Beijing bring back blue skies, but perhaps even RMB5 trillion will not necessarily deliver the promise of cleaning up China’s water resources”. 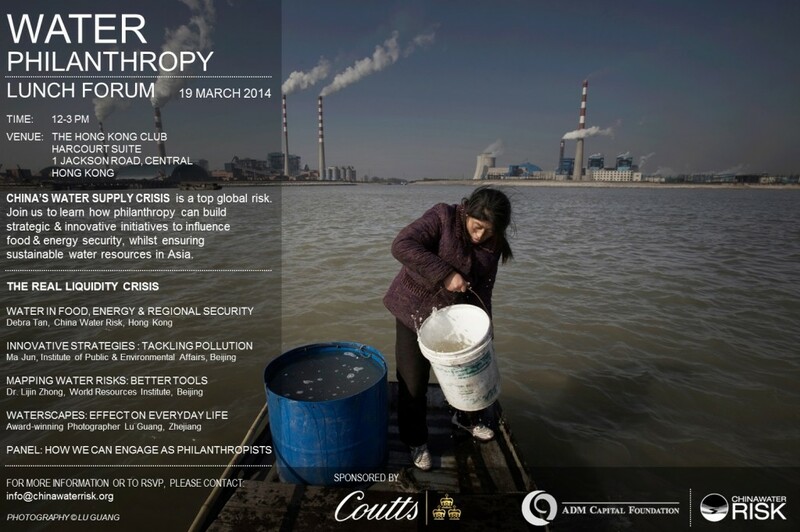 We are excited that award-winning photographer Lu Guang will be speaking at our Water Philanthropy Forum sponsored by Coutts, in Hong Kong on 19 March, 2014. MEP Reform: From Mountaintop to Ocean? – The MEP is currently regarded as too weak to punish polluters due to dispersed authority & overlapping functions. Given the ‘war on pollution’, is reform to make a Super MEP necessary to improve China’s ‘mountains, water, forest, farmland & lakes’? 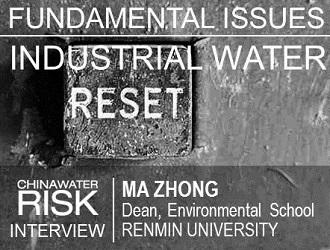 Can Cities Meet Increasing Water Demands – Nitin Dani and Georgina Glanfield from Green Initiatives in Shanghai share their thoughts on how Chinese cities can ensure water security in the future. Can the public play a role? Environmental Law Amendment: 40 Year Set Back? – Will the proposed amendment set back China’s environmental development by forty years? Or will it be shelved?